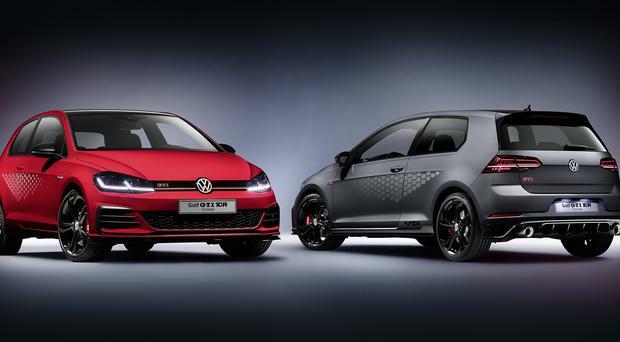 Volkswagen has revealed the fastest-ever Golf GTI – a 164mph race-derived model. The Golf GTI TCR is the most powerful Golf ever, thanks to highly-effective fine tuning of its engines and the addition of powerful race packs. The world premiere of the TRC was unveiled at the company’s legendary annual GTI meeting in Worthersee, Austria. Although technically still a concept, the TCR will go into production late this year ahead of sales in early 2019. No official pricing has been given, but it is expected to retail from around the £33k mark. The existing most powerful GTI engine – a 2.0-litre TSI turbo – has been given an extra 49bhp over the standard GTI, meaning it now outputs a hefty 286bhp and 370Nm of torque. The engine’s power is transmitted to the front wheels from only 1,600 rpm as standard via a 7-speed dual-clutch gearbox (DSG) and a locking differential. 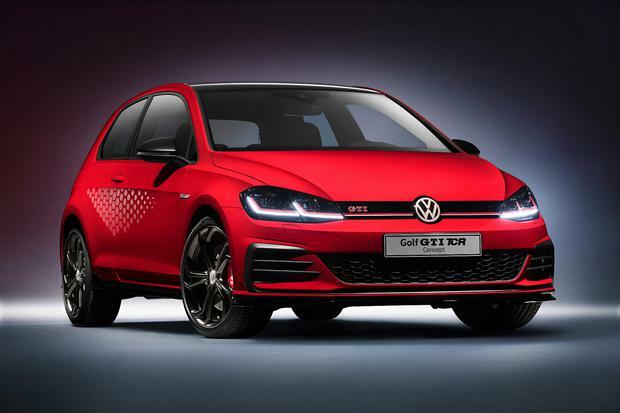 The top speed of the standard version will be 155mph, but this can be increased to 164mph by opting to remove the electronic Vmax limiter as part of a Performance Pack, making this Golf the fastest GTI of the current model range. The Performance Pack also includes an even more dynamic sports chassis and the adaptive chassis control (DCC). 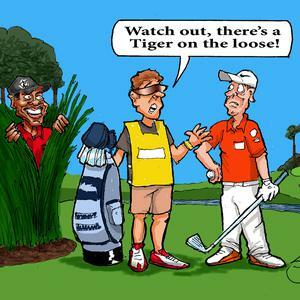 It adapts to the characteristics of the electrically adjustable shock absorbers at the touch of a button. As well as performance enhancements, the new model gets a raft of modern but sporty touches, not least honeycomb graphics on its flanks. The future standard version will leave VW’s Wolfsburg plant with 18-inch “Belvedere” forged wheels; 19-inch alloy wheels will also be available as an option. Behind the large wheels there is a high performance braking system with perforated discs that decelerate the production car just as effortlessly as the TCR racing car. 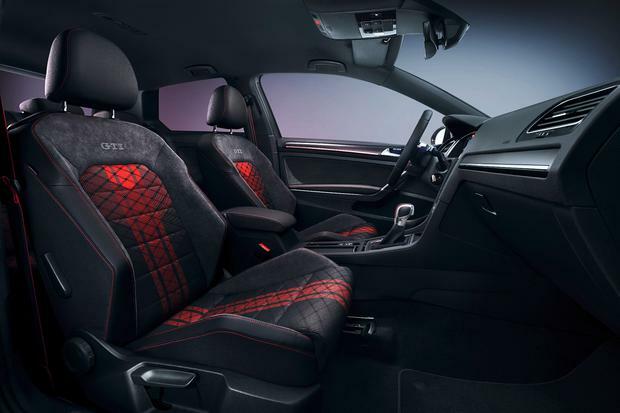 The top Golf GTI model features two extra radiators to ensure sufficient cooling for high engine performance. Bold new looks are also a feature. At the front, a newly designed bumper with sharply contoured splitter (front spoiler) identifies the Golf GTI as a TCR version. Also new: the newly designed panel attachment on the side, which is continued to the rear. Here, they join a diffuser and the exhaust system tailpipes. In silhouette, the "TCR" lettering above the sills also attracts attention and is optionally customised with an additional decoration in the typical GTI honeycomb design. On the inside, the premium sport seats are finished with newly designed microfibre/fabric covers. The door inserts and gear stick cover have also been finished in microfibre. The seat centre sections are in the contrasting colour “Flash Red”, which is the bridge to the red contrasting stitching on the sports steering wheel. There’s no official release date yet, but it looks 99% certain this concept will be glimpsed in the metal on our streets within 9 months. VW executive Jurgen Stackmann, predicted: "At the moment, the Golf GTI TCR Concept – an athlete derived from racing sport – is a study. But at the end of the year, we want to make this GTI vision come true."